Rocky Patel Sun Grown in 70-degree sunlight while wearing my Intellectual Froglegs hat in pre-celebration of tonight's primary results in South Carolina. 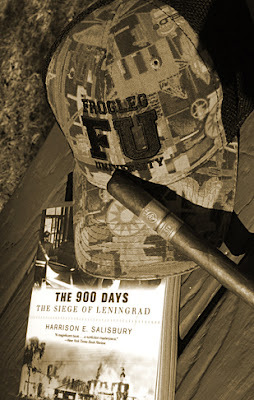 In hindsight, the cigar was appropriate. Jeb! dropped out. Awesome. I am reading The 900 Days: The Siege of Leningrad, by Harrison E. Salisbury. This book is exceeding all expectations. I had expected to read only about the death and suffering within the city during the German assault. I'm 200 pages into it and haven't read a word on that topic. 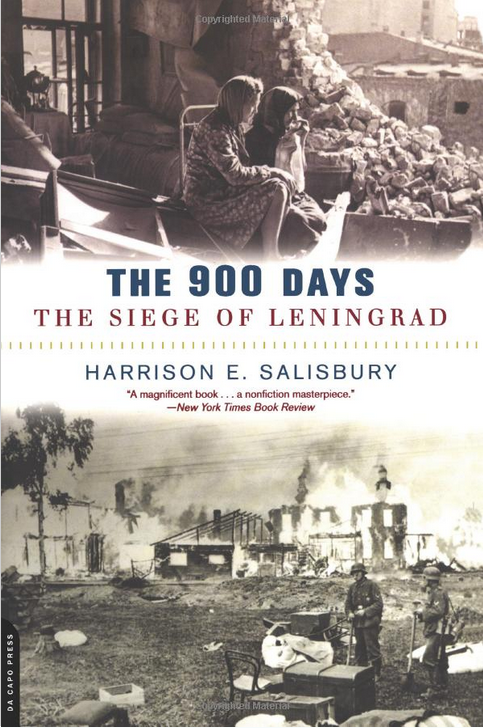 Instead, this is a very thorough account of the many events leading up to Operation Barbarossa at the tactical, strategic, diplomatic and political levels. I've read before about the groupthink with Stalin and his cronies - not believing Germany was going to attack - but never at this level of detail. Same for the German advances and the Soviet attempts to counterattack. An incredible book. U/T: to my old Army buddy for recommending this book. Read this book several years ago. And yes, it is an incredible book. I put it up there with Barbara Tuchman's "Guns of August" for a rich history of the begins of war.